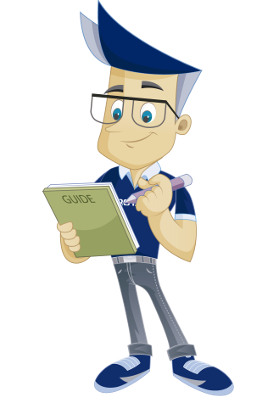 This guide explains how to create an email account in Microsoft Outlook 2010. We assume that you have installed Microsoft Outlook 2010 on your PC and that you have not set up any email accounts previously. 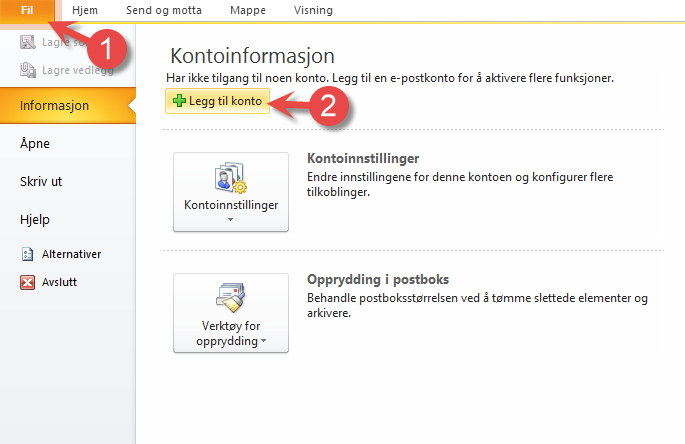 To set up email in Outlook 2010, you must use the values supplied below. Exchange these values with the values valid for your email account with PRO ISP. 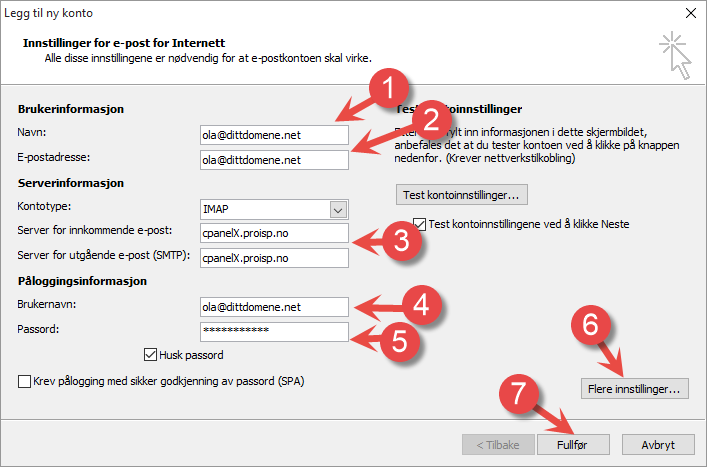 In this example, we used ola@dittdomene.net as the email address with a specified password. For the inbound and outbound email server, you should use cpanelX.proisp.no as the server name if you are using SSL (recommended). The X should then be exchanged for the number of the PRO ISP server on which the email account is configured. 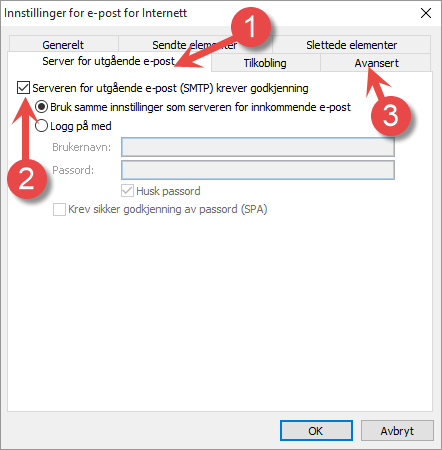 If you do not use SSL, you can also use mail.dittdomene.net, where dittdomene.net must then be exchanged for the domain for which you wish to configure the email account in Outlook 2010. A new window will now appear, warning you about the certificate. Click "Yes". 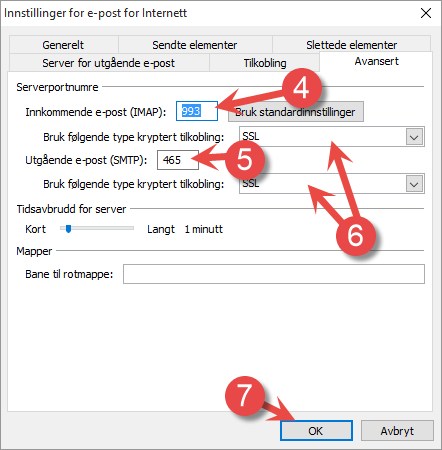 Outlook will attempt to find the correct configuration based on the information given in step 2. If everything goes as expected, it will look like the image below. 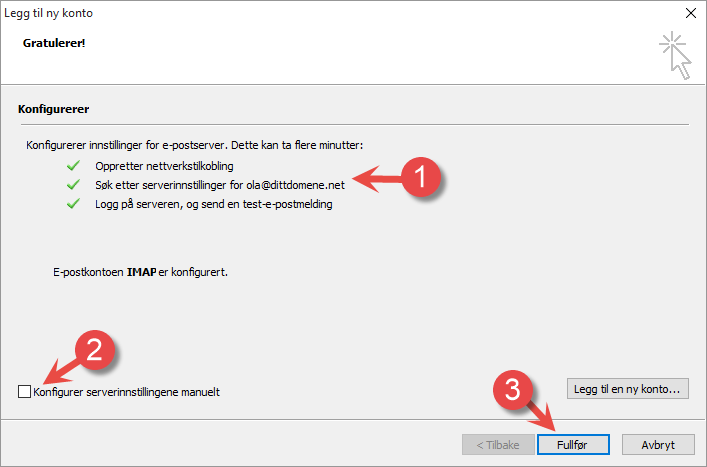 If Outlook is not able to find the correct configuration, select "Configure server options manually". See step 5 for the details. 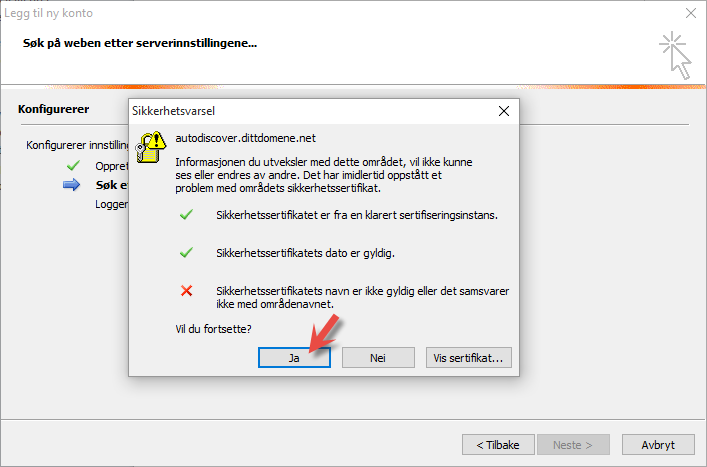 If Outlook is not able to find the correct server configuration automatically, you must perform the configuration manually. Type in the name. This will be visible as the sender of emails sent from this account. Type in the inbound and outbound mail server address. You should have received this information when your ordered the web hosting solution from us. Type in the user name. This is always the full email address. Select more settings, see "Step 6" for the details. Click "Finish" after "Step 6" is done. 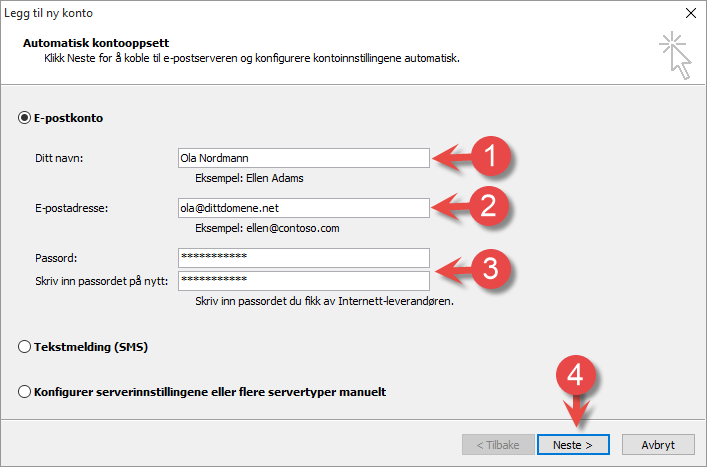 Go to "Outbound mail server"
Tick the option that the outbound server reguires authentication. Type in the inbound port number. See the top of this guide for the details of the ports used. Type in the outbound port number. See the top of this guide for the details of the ports used. Select what encryption to use. We always recommend SSL if possible. Press OK to go to the previous window, then click "Finish". 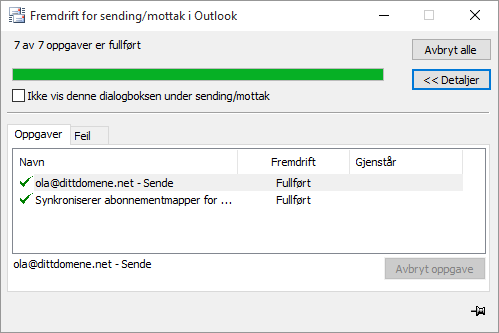 Outlook now has all of the necessary information, and it will suggest to synchronize with the server and send a test email. 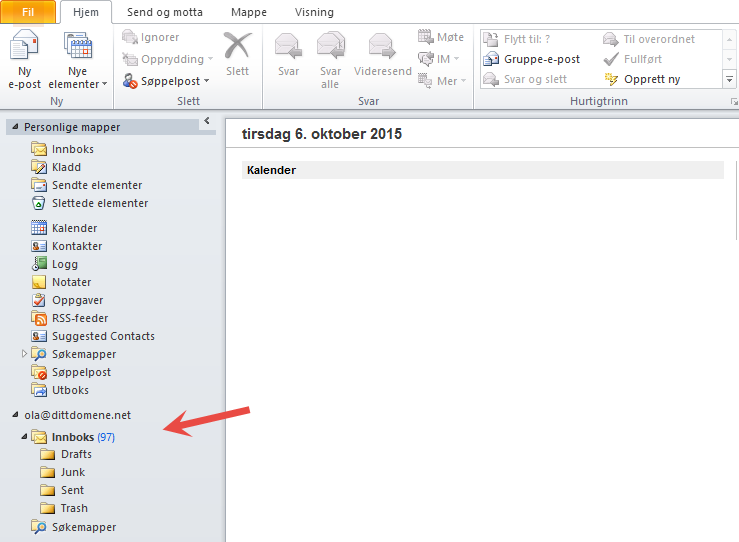 The email account has now been added, and it can be used for sending and receiving email from Outlook 2010. We have now been through the steps required for setting up an email account in Microsoft Outlook 2010.